Use this block to view the blog activity of the course. *NOTE: You will need to do these steps if you do not see the Recent Blog Entries block on your Moodle page. 1. Click Edit to turn editing On. 2. 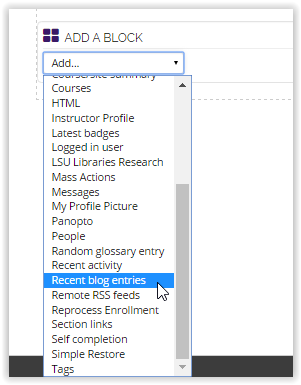 Select Recent Blog Entries in the Add a Block drop-down box.